Sensory deprivation depicted in Stranger Things. Throughout my life I’ve been interested in exploring the stranger potentials of the mind through phenomena such as lucid dreams, and eventually I found my way to sensory deprivation. My initial session in the tank was intense, and my following visits brought me a variety of unique experiences. I’ve been floating for nearly 10 years at this point and it’s become a regular practice that aids with my anxiety and ideation process. Much of my work touches on dreams, isolation, and delving into inner emotional landscapes, so it’s a good match for my process. I recommend that people interested in similar themes try it because it’s more accessible than lucid dreaming and it’s more potent than meditation alone. You may be familiar with float tanks if you’ve watched Stranger Things or Altered States, though the context made them appear more daunting than they are in reality. A float tank (also known as a sensory deprivation tank or isolation tank) is a chamber partially filled with an especially dense solution that allows a body to easily float on the surface of the liquid (like the Dead Sea). These tanks are light-proof, sound-proof, heated to the average skin temperature, and filled a few inches with a mixture of water and Epsom salt. There is about 1000 lbs (454 kg) of salt in the mixture. These conditions result in an environment where sensory input is greatly restricted and it can have interesting and beneficial effects for the user including pain relief, stress relief, increased focus, and hallucinations. Float tanks were originally designed by the neuropsychologist John C. Lilly in 1954 to test the effects of sensory deprivation. In the 70s Glenn and Lee Perry created the Samadhi tank with the aid of John C. Lilly. This version of the tank was the first commercial tank and includes many features that you’ll find in modern tank designs, it was also the first tank I used. Creativity is defined as “The ability to make new things or think of new ideas.” But I like to elaborate on the definition and say that it’s finding new ideas by making unexpected connections between seemingly unrelated things. In my creative process there are usually 3 major steps when I’m coming up with an idea for a painting or project (which I think many of you will find relatable): Setting the Intention, Feeding the Intention, and Quiet Time. If Setting the Intention is like planting a seed, Feeding the Intention is fertilizing, watering, and providing sunlight for it. Quiet Time is being patient and waiting for the seed to take form in the environment you’ve provided. I like to think of Setting the Intention as a problem for my brain to solve. Generally this takes the form of a theme, a title or word, an object or whatever I think the core of the idea might be. I find a way to take this intention and turn it into a question to ask myself as if my brain was a Google search for concepts. For example "I need a solution for The Judgement card, this is what it could be about, but how do I connect these ideas and represent them visually?" I like to keep these initial intentions loose so that they have room to grow and adapt as I explore them. Feeding the Intention refers to all the information I collect that could be vaguely related to the intention, or things that are of interest to me that I haven’t found a way to connect to my main idea yet. The form that this research takes varies - it could be collecting images, reading articles and books, sketching and writing about the topic, listening to music, etc. This can take place at any time during my process. And finally, Quiet Time. Quiet Time can also vary in form, from going for a walk in the woods, to dreaming, to taking a shower, to meditating. Basically any environment or situation in which I can lower my stress and get the constant chatter of my brain to settle down counts as potential for Quiet Time. The environment in the tank is ideal for allowing the mind to chew over ideas without distraction - it has nothing to occupy its attention other than itself. Once I get showered and prepared to get in the tank, I revisit my intention and ask it again. From there I allow my mind to wander. It’s important that I don’t force anything or treat the session as a success or failure. I stay open to thoughts that don’t seem obviously connected to my intention because they may help me come up with solutions for different projects. Staying open and not relying on getting a perfect answer keeps me from getting frustrated as well. About 10 or 15 minutes into relaxing I usually have a sensation of the darkness behind my eyelids expanding into 3D space. And then from the darkness there are often bursts of hypnagogic imagery, or kaleidoscopic patterns of color and light from which images and forms emerge and dissolve. If I get visuals I’ll actively watch and give focus to following them, but I don’t push things in any specific direction. Towards the end of the session I’ll often make some significant connections or have an “aha” moment (even if it’s not directly related to the intention I set). When I get out of the tank I make an effort not to interact with anyone until I’ve had a moment to write down all my ideas, visuals, experiences, etc in my journal. 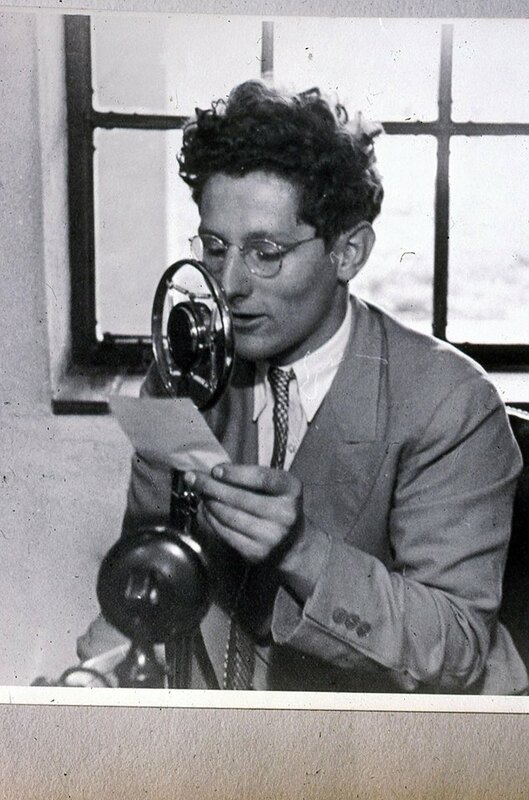 John C. Lilly, inventor of the sensory deprivation tank. I understand that float tanks can be an intimidating experience, and it’s best to go in with some idea of what you might experience so that you’re less frightened when your brain and body start to behave in odd ways. Common experiences include hearing your own stomach and heart (many people find this experience disturbing, but it’ll pass), muscles twitching, falling asleep, a feeling of floating in space or loss of spatial awareness, restlessness, and euphoria. People can also experience things on the weirder side. Some of the things I’ve personally experienced are sensations of the body shifting shape or stretching out, senses being overwhelming, full dream-like hallucinations, having thoughts that seem external to yourself, overwhelming emotions, and experiences similar to ego death. Google “float spa”, “float tank”, or “float therapy”. Sessions generally cost $50 - $60 for an hour to an hour and half in the tank, but places often have deals and sometimes have programs that allow artists to float for free in exchange for art. Feel free to contact me (sam @ samguay.com) and share your experiences or ask questions about Floating, and good luck! Sam Guay is an artist focused on work that explores our inner, emotional worlds. Her intention with her work, whether it be a single painting, a story, or a large project is to invite quiet conversations with those private worlds where we can find ourselves most readily and connect more meaningfully to the world around us.